If you follow me on Twitter, you might know that I’m traveling for the next two weeks in the Caribbean. I’m currently in San Juan, Puerto Rico…swimming in the warm, blue Atlantic waters and sitting on the beach with drinks that have miniature umbrellas. I thought about renting a car but after going by taxi for a couple days, I’ve realized how bad of an idea that is. I’m not a scared driver on the road by any means. I believe the only way to drive is fast and slow is for the weak but here…well, there’s no discernible traffic laws as far as I can tell. There’s very few ways to tell if the street you’re on is one way other than if there are a lot of angry motorists coming the other way. I don’t know how the right of way works here because I’ve seen several people merge into the tiniest of gaps in traffic and I am almost sure that turn signals are for decoration only. In Vancouver, you could get arrested for talking on the phone while driving but here, every bus driving I see has his cell at his ear and ironically, there’s a sign saying you should never speak to the bus driver while he’s driving…I’m sure that’s just because it would be rude to interrupt his phone conversation. Things move slowly here and no one seems to mind. I thought I was rather laid back already but apparently waiting 45 minutes for food isn’t uncommon. Gordon Ramsay would explode if he ran one of these kitchens. That and the bus I mentioned before just gets there when they feel like it. I don’t see any sort of bus schedule and even if there was one, they’re guaranteed to be late so your choices for transportation are either incredibly slow and unreliable or what can only be described as certain death. Jaywalkers just walk out into the streets and hold out their hands to tell cars to stop. That would never fly in Vancouver, where pedestrians are only a small step above cyclists when it comes to people we give a crap about when we’re behind the wheel. That being said, this place is gorgeous. Despite the heat and humidity, it isn’t seriously uncomfortable and there’s cheap beers, sorbet and other things to cool you down for a buck or two everywhere. There’s good reason this place is one of the most traveled places in the Caribbean. I am with you on not driving there, it is kinda messy to even try and figure out the rules of the road in a foreign country. especially one that doesn’t seem to have a set of rules. Great shots did you edit them at all? Have fun on your vaca and I look forward to seeing more pictures. Thats pretty crazy how free reign the streets are there. I’ve never personally been to Puerto Rico, but have friends who have lived there, and moved to the states. Did Irene affect you guys at all while you were there? Good question Jean I wonder if they were affected as well. No, we were not affected by Irene at all. It was in the Caribbean a few days before we got there and moved on by the time I arrived. Thanks for the concern, though. Thats great to hear Ed. There was just alot of rain here, and a little bit of street flooding but other than that no big deal for us. The storm got weaker when it got to us. specially the sea facing view . It certainly looks a beautiful place to spend your holidays for sure. The traffic definitely sounds pretty wild so it’s a good idea to stick to taxis and relax in the back seat. I was planning to spend last summer there but had to back out at the last minute due to a change of plans. Got one word for it..
I’ve never been to Puerto Rico. By the looks of your photos it looks pretty cool though, kind of a little like Ft. Lauderdale area. I heard the crime down there is pretty bad though? Nice to see the pictures, Ed. How is the weather there in Caribbean? Seems to be all the day raining in NC. Great pictures. I only wish I could have a vacation and visit some great place like this one. I am starting to get burned out! 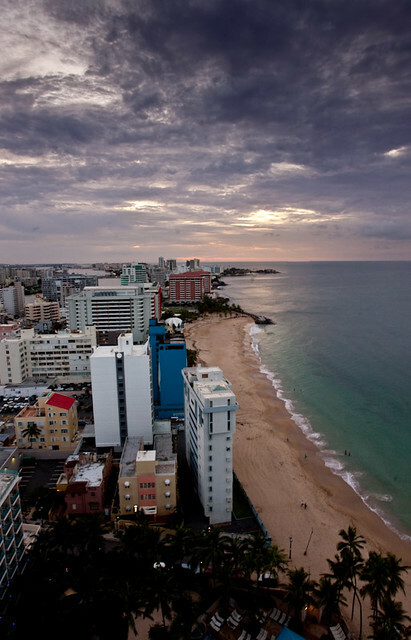 Although I have never been to Puerto Rico, it sounds as thought the driving tactics strongly resemble that of Mexico. In Mexico I did rent a car. Initially I was slightly intimidated to drive the streets heading south out of Cancun, but once I was out of the ‘busy’ areas all was fine. Except for the occasional pedestrian attempting to cross the major highway. Which other Caribbean countries did you visit? I’m just assuming, but I imagine the laid-back attitude is common throughout all the beautiful caribbean. That is fantastic you will be traveling to the Caribbean. I have always wanted to go there. Possibly on a cruse someday. 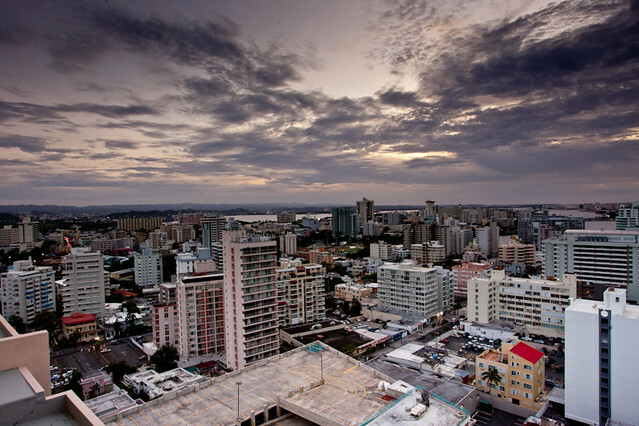 Anyhow San Juan looks simply stunning in the photos you have shared. I’ve always wanted to travel to the Caribbean. The place looks absolutely beautiful…the water, the beach, everything. Hopefully you have an amazing time! It looks so beautiful. The pictures are magnific. Unfortunatly it is an uncomfortable place. Thanks for your tale, I will remember it when I’ll go to Puerto Rico. The place looks amazing. I am with you I wouldn’t have rented a car and drove it either. I would much rather leave the driving to the locals. The place looks really beautiful. I wish I could visit these places in future.